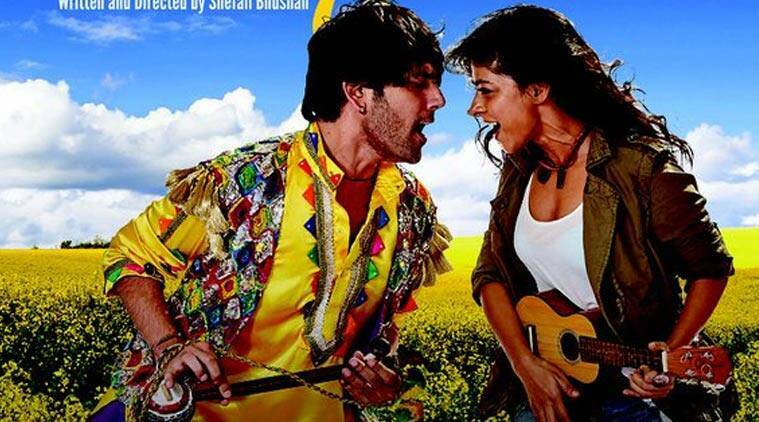 "Jugni" is directed by a first time director, Shefali Bhushan. Shefali has herself been a collector of folk talents by roaming around the country. It seems her own journey inspired her to film this movie which is about a girl played by Sugandha Garg who runs away from her life in Mumbai to find some fresh, original and pure singing talent from a Punjab village. She has heard about Bibi Saroop's singing whom she is searching but also gets interacted with her son, Mastana, who is a great folk singer himself. From here starts her journey of grooming the mother-son duo to sing for her upcoming Bollywood project. Jugni must have been a great movie on papers but it couldn't manage to create the same effect on screen. The inexperienced director's work was clearly visible in every scene. The only scenes where the characters are singing are great and soulful which you want to keep listening and watching but every time there is a dramatic or I can say, melodramatic scenes, the actors fail to create any magic. Director had tried to make a character-based movie where she wanted to focus upon this girl who have left Mumbai to find a folk talent, a boy in village who has suddenly started dreaming big by interacting with this girl from Mumbai who is also a music-director, a girl who has been girlfriend to this village boy but sees him losing every day since a girl from Mumbai has landed in his life and a daily-soap actor back in Mumbai who is waiting for his wife to come back but couldn't accept that she is no more interested in him. One aspect of this movie is very great in the 2nd half when Mastana shifts to Mumbai to try his luck in Bollywood. The struggle that he goes through is what the reality is. It is an eye-opener for small town youths who think that making into Bollywood is just a matter of a week or two. This movie shows them what's the reality back in the metro city even if you have contacts with people working in the industry. Rest, everything in this movie gets failed because of its actors. I give it only half stars out of five. It could have been a great movie even if direction would have been little responsible.